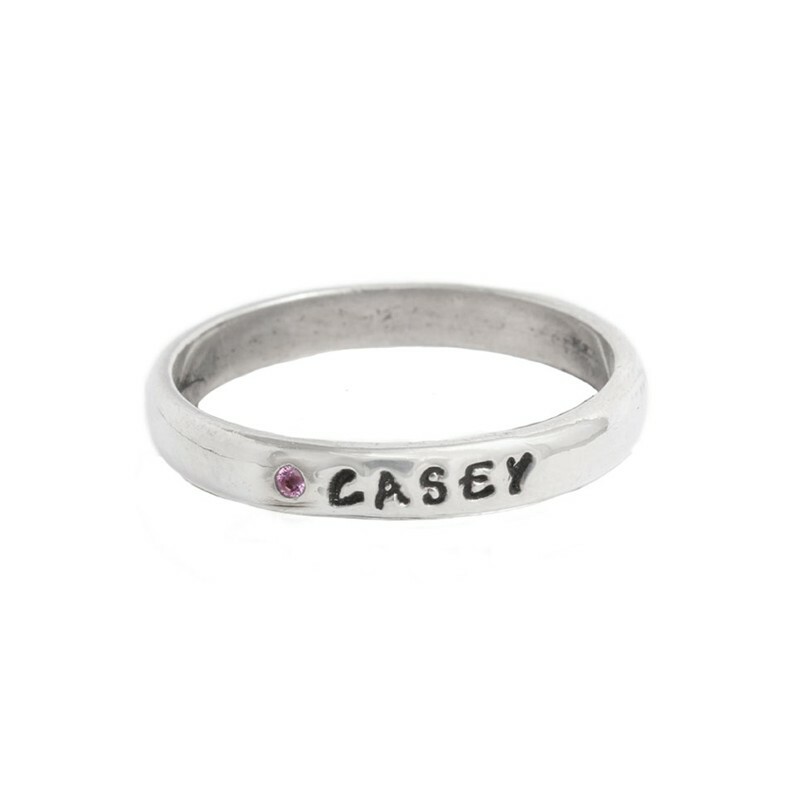 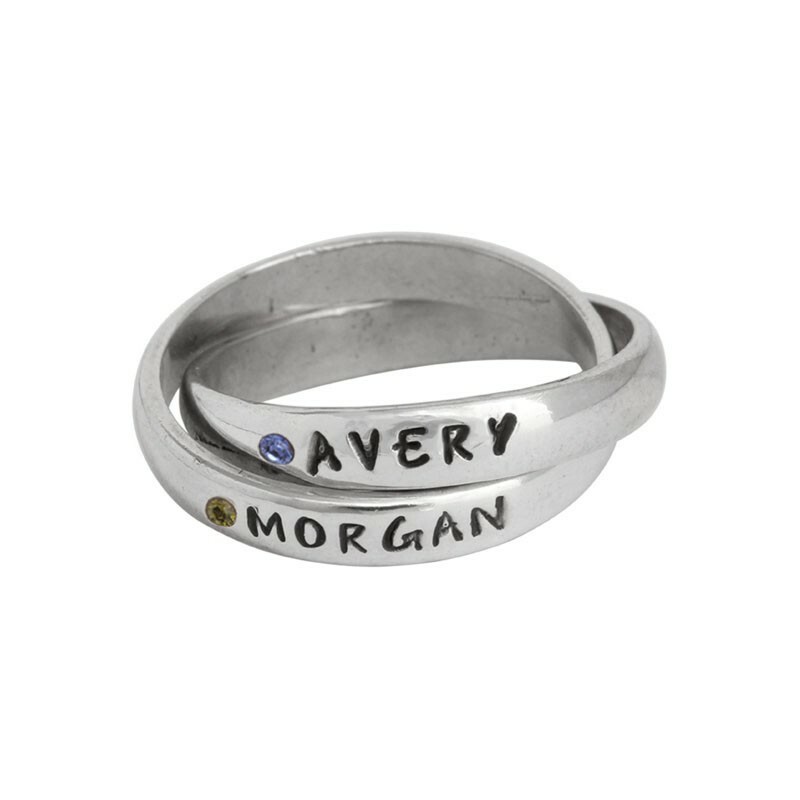 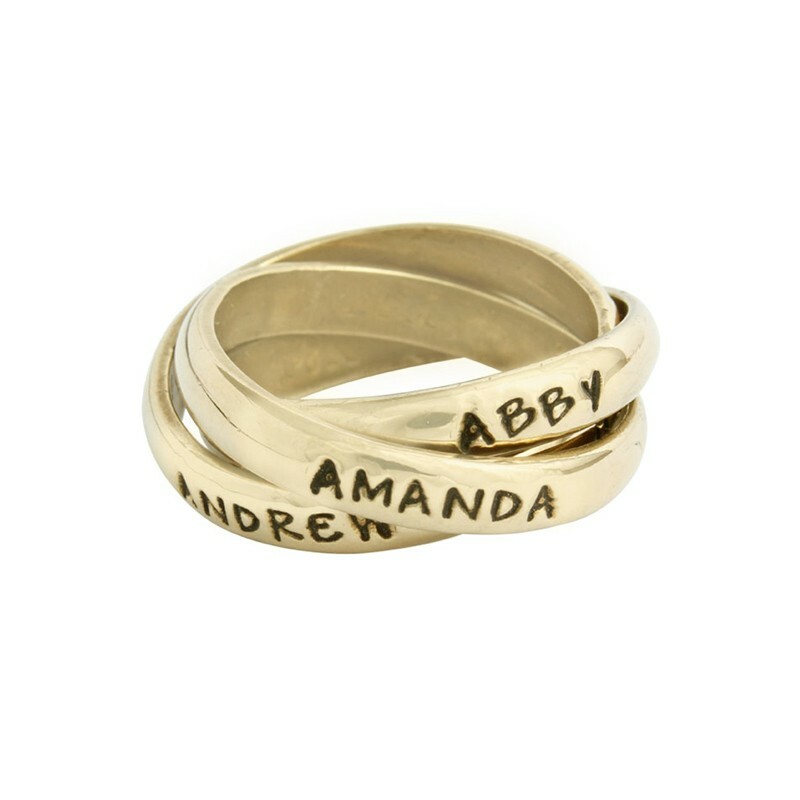 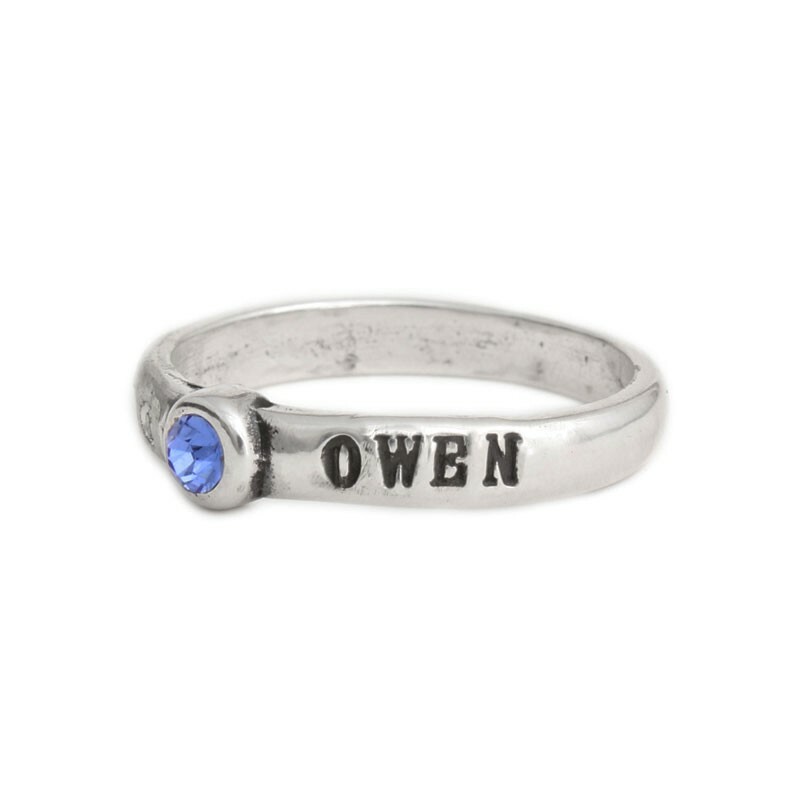 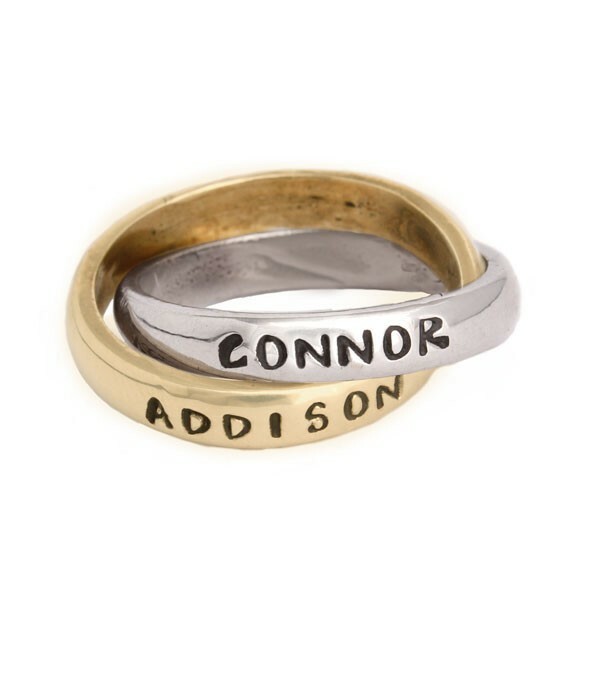 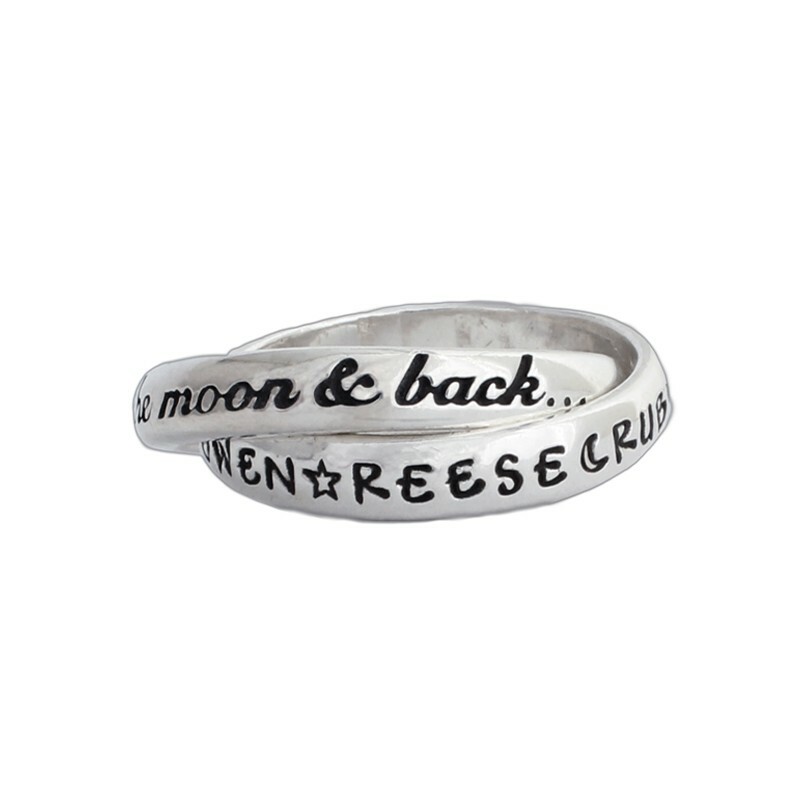 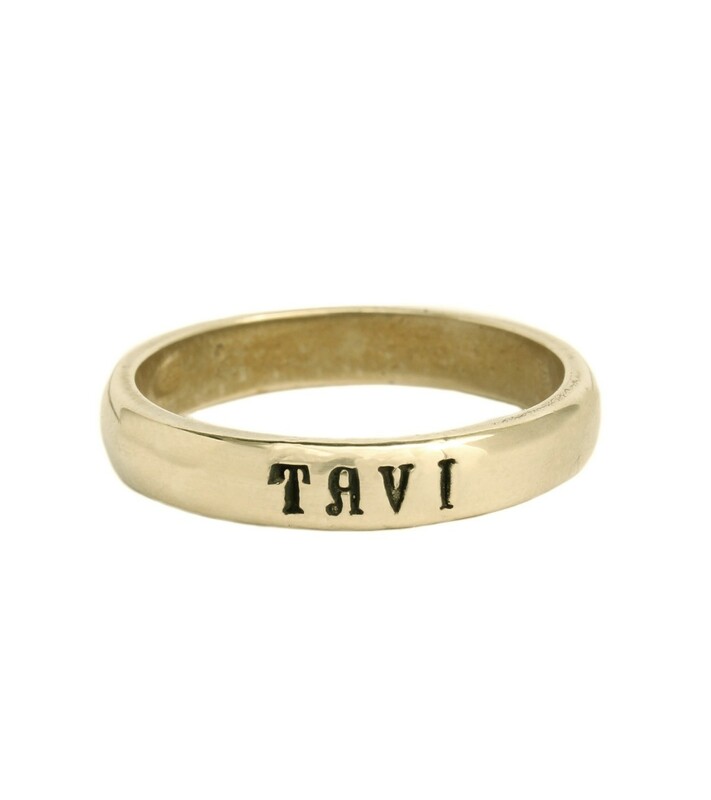 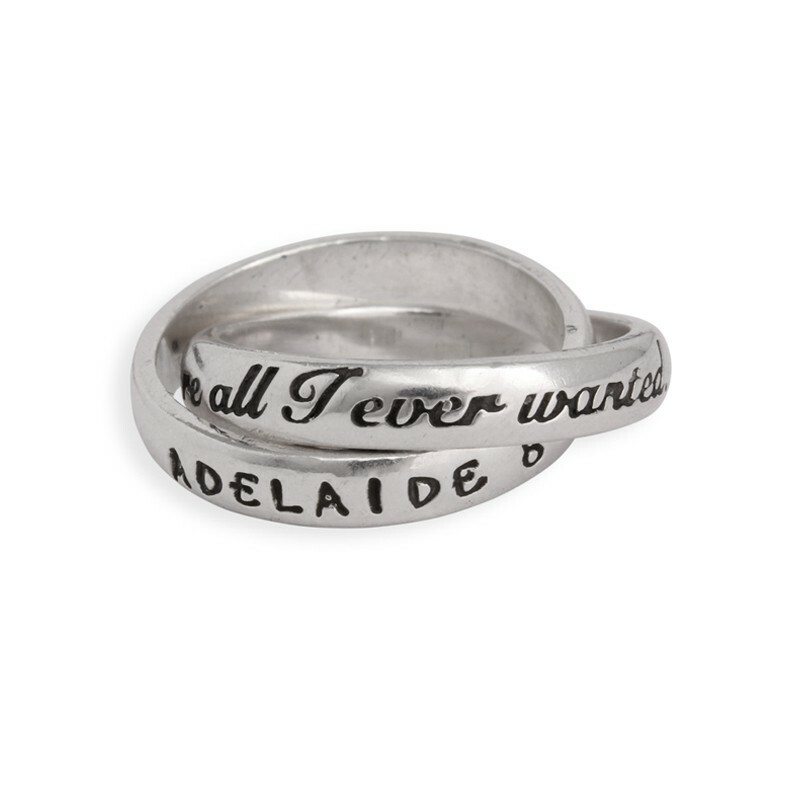 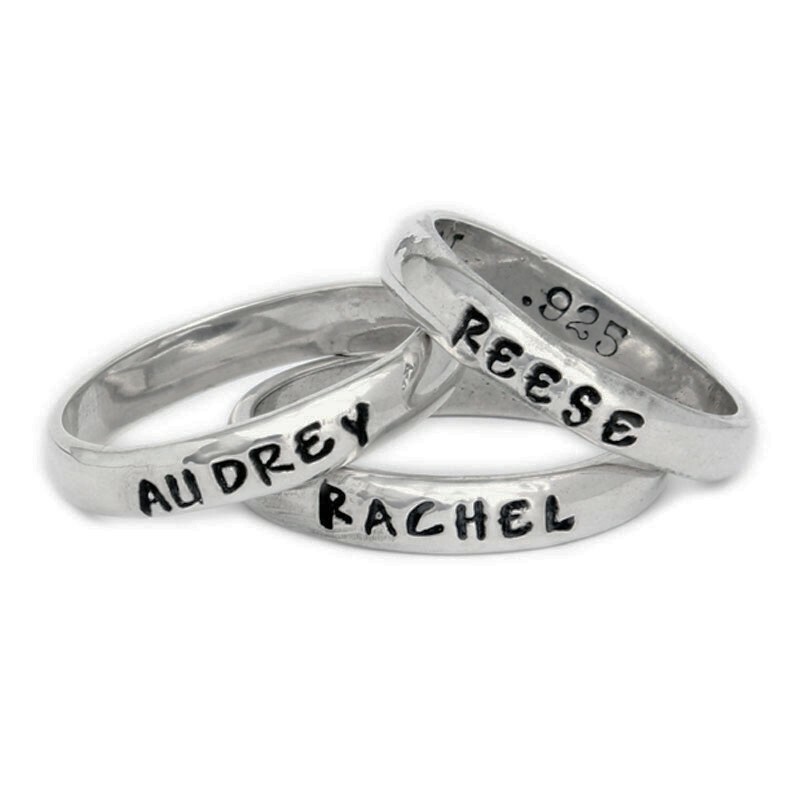 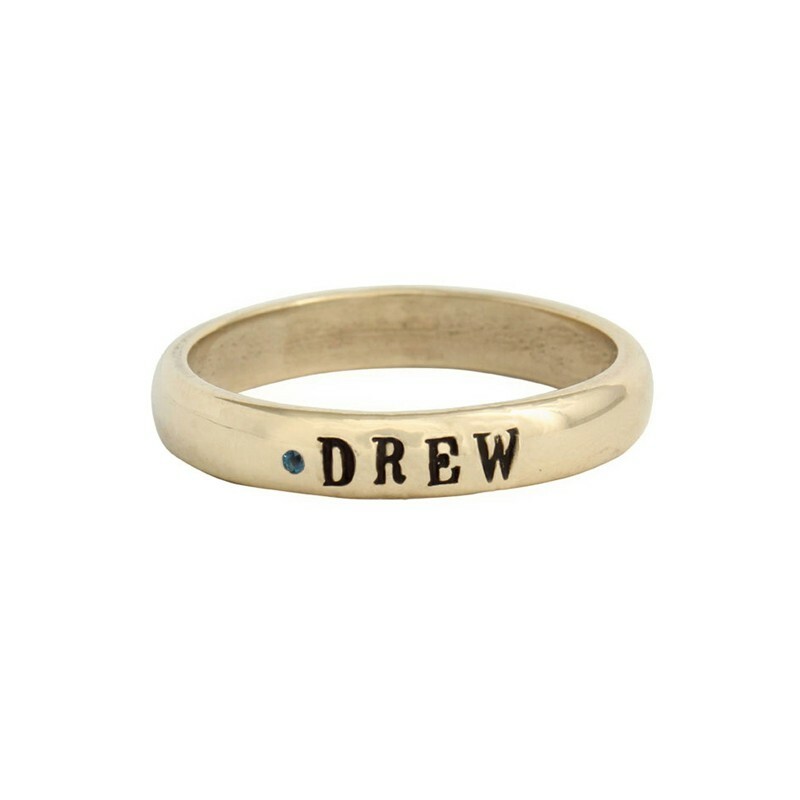 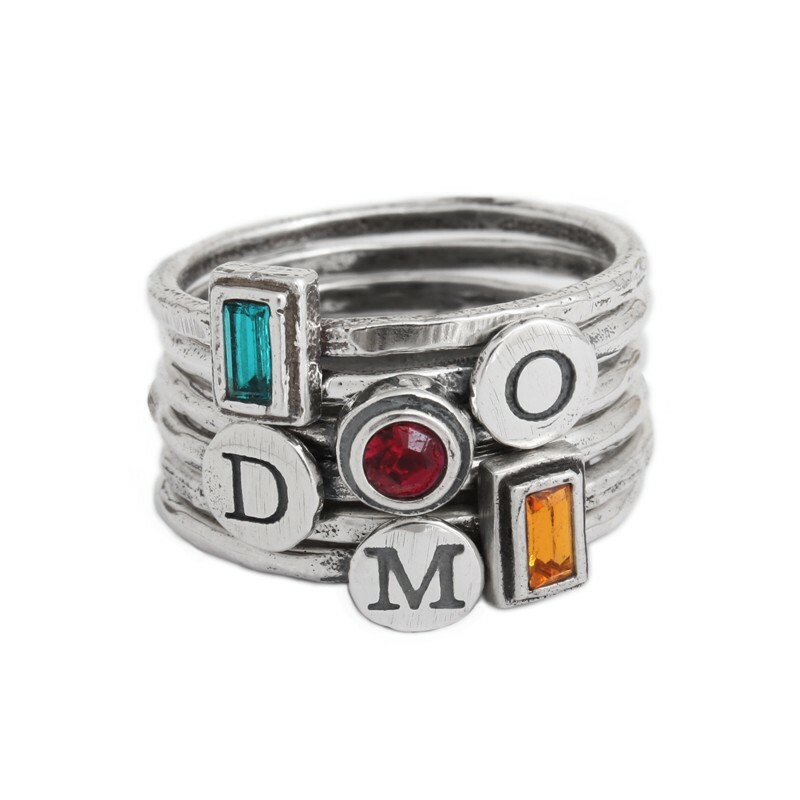 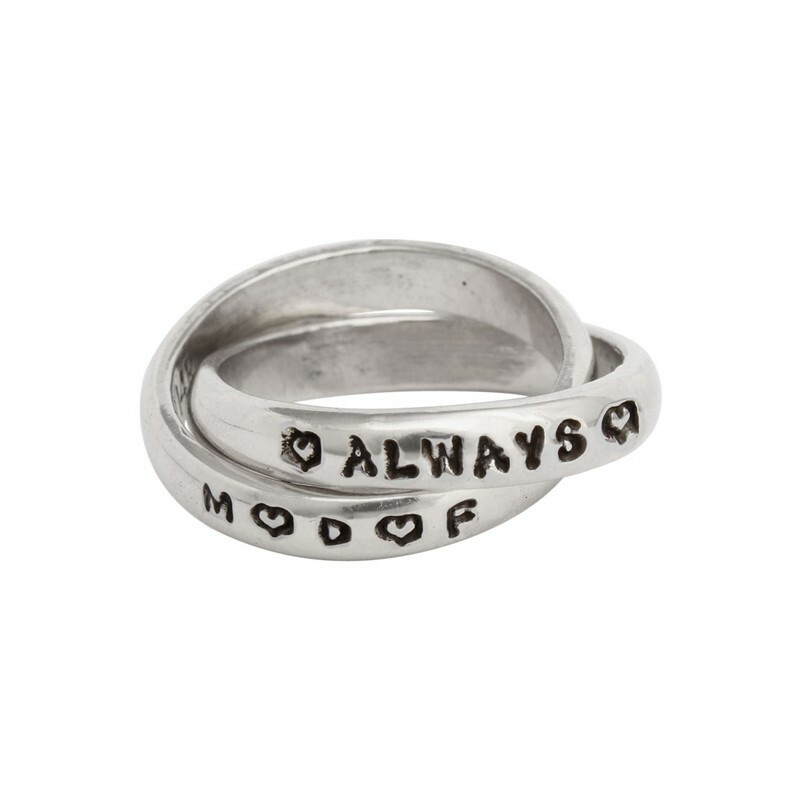 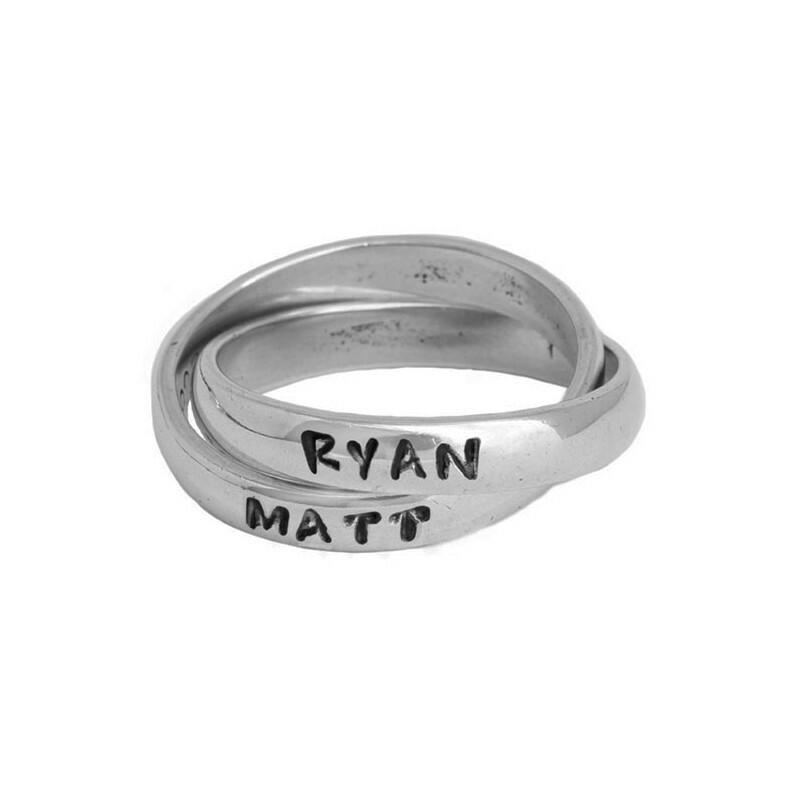 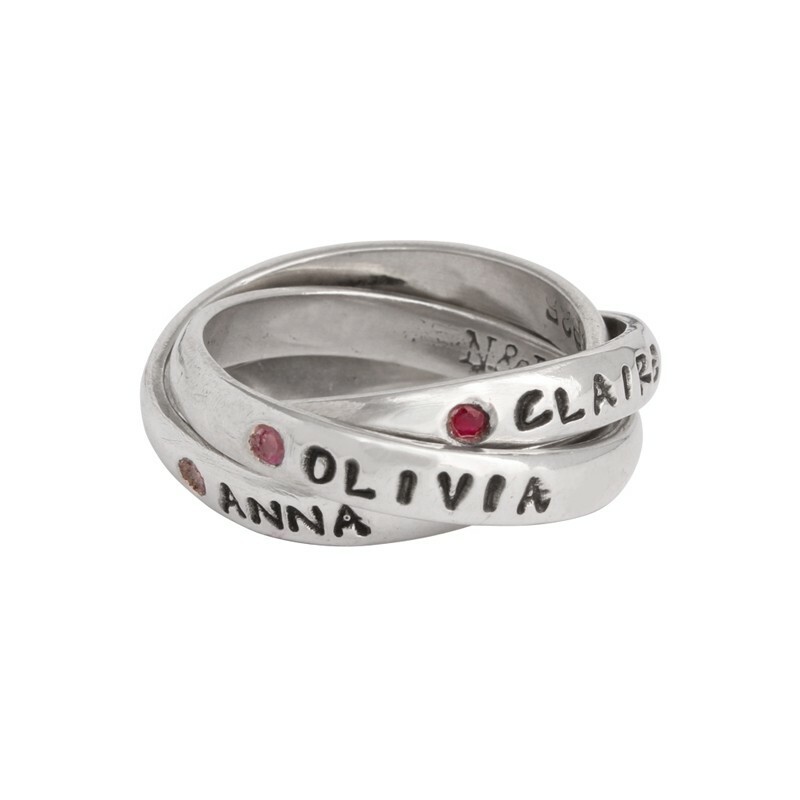 Our hand-stamped, personalized rings make the perfect Mother's Day gift! 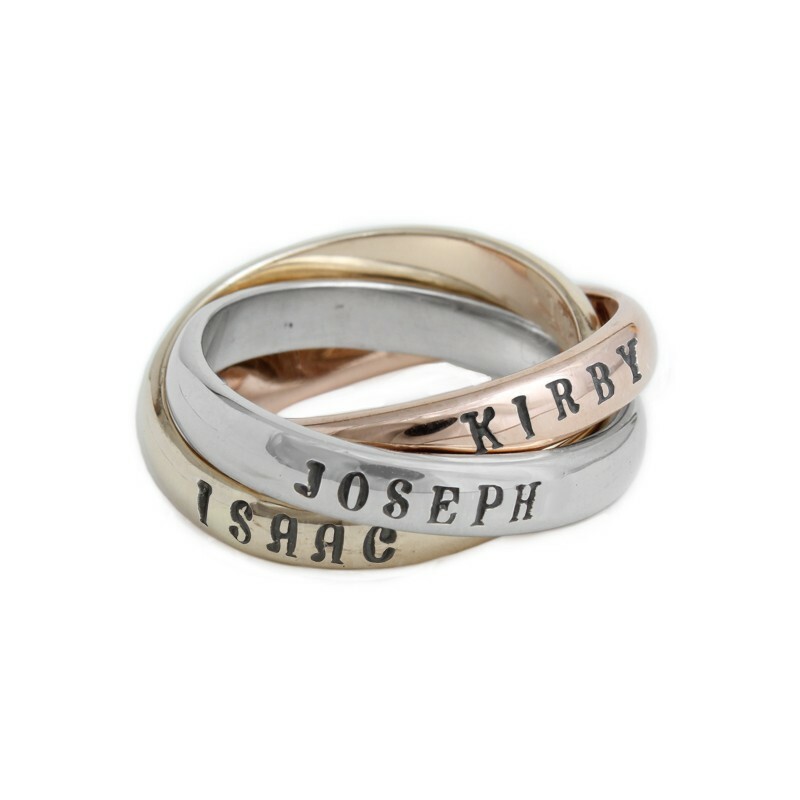 Available in both sterling silver and 14k gold single or intertwined bands, these rings make the perfect keepsake to pass down through the generations. 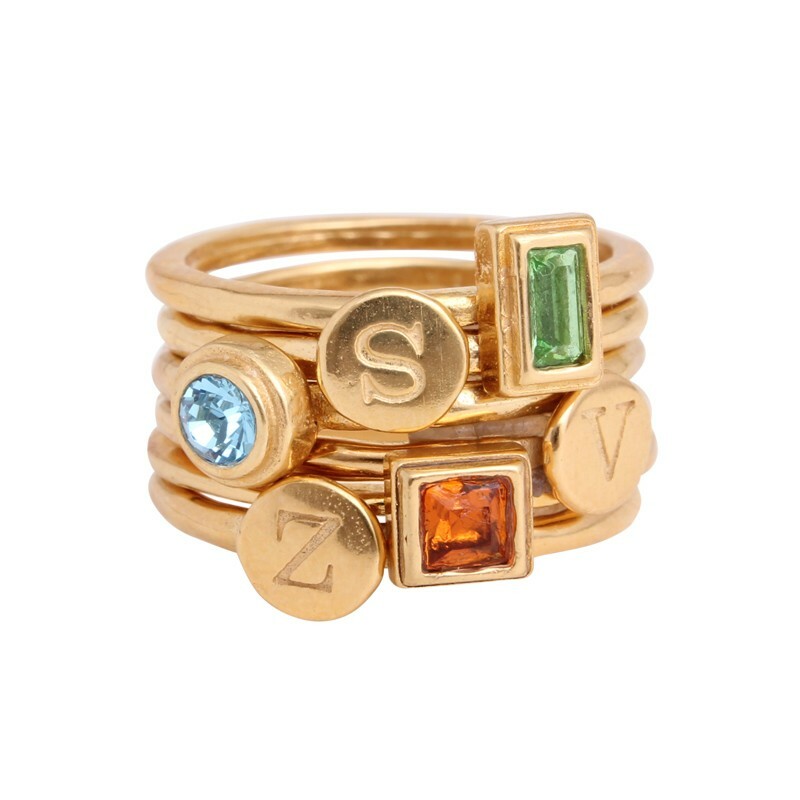 We also have stackable birthstone and initial rings in gold and silver. 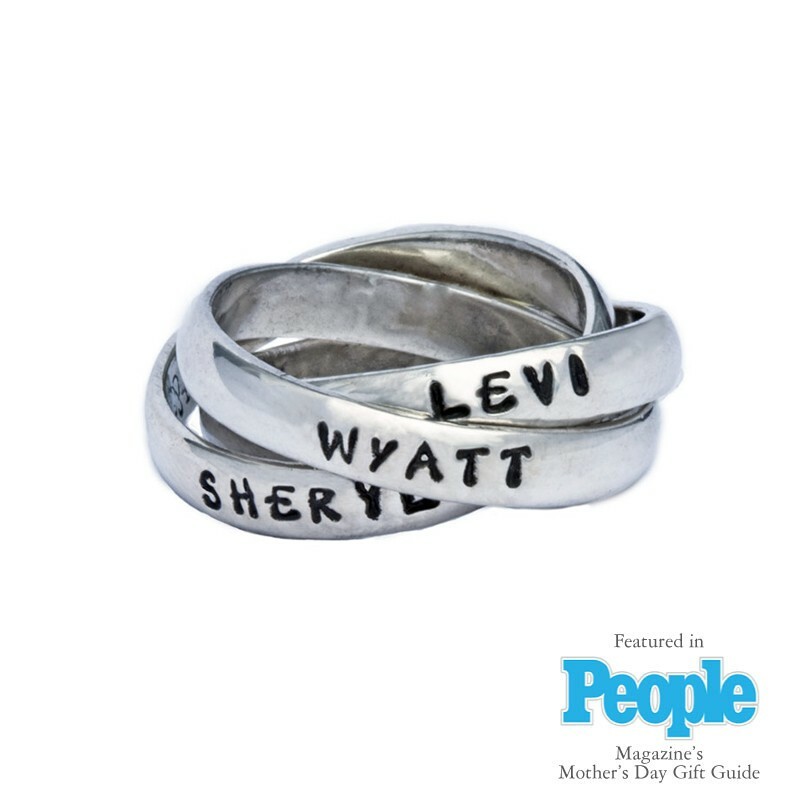 Mom's will treasure these custom rings!